I received a product of my choice from ms blue sleeve online shop for my honest review. 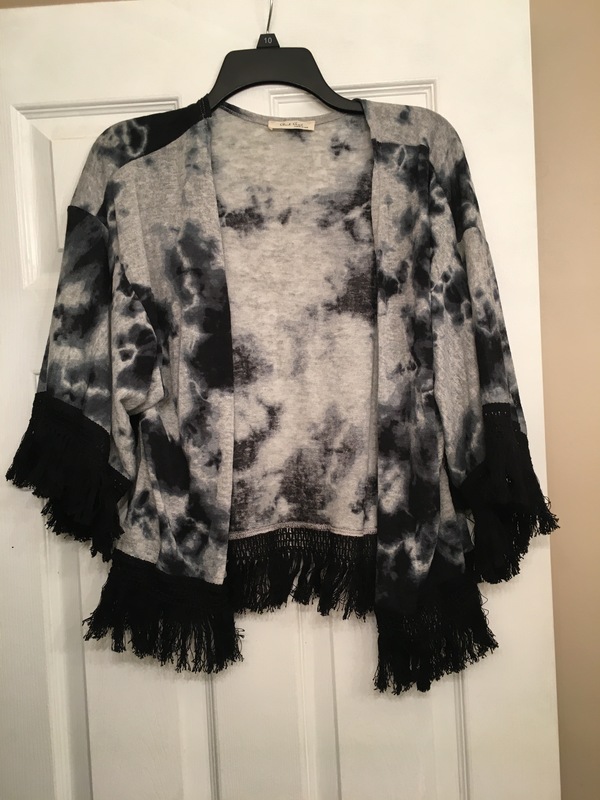 The product that I chose to do my review on is the gray navy tie dye kimono. If you haven’t noticed I literally have the worst tie dye obsession. Not only is this kimono tie dye colored but it also fringe, how much more perfect could you get! At the bottom of the kimono and at the bottom of my sleeves it’s full of black fringe. Plus it’s super comfortable to wear. It’s perfect to wear with a cute little crop top and high waisted jeans. I do recommend this shop and their products to my readers.